Browse: Home /	Composting, Events, ZERO WASTE / Leaf Composting with Project LeafDrop! 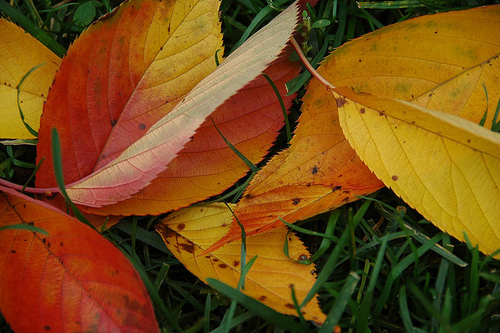 As we did last year, Sustainable Flatbush will be participating in Project LeafDrop, holding two opportunities for Flatbush community members to get rid of any pesky leaves that have been cluttering up their lawns this fall. This is a great opportunity for residents to help us Reduce, Reuse, and Recycle these leaves, which will otherwise end up in a landfill. Project LeafDrop is a volunteer-run coalition of Brooklyn residents and organizations that collects residential leaves and uses them as compost. Rather than the leaves uselessly wasting away in a landfill, the project takes advantage of the opportunity to create compost to fertilize local community gardens. Collection of leaves will take place at the Flatbush Reformed Church, near the parsonage house on East 21st Street and Kenmore Terrace, on Saturday, November 6th and Saturday, November 13th from 11AM to 1PM. Any leaves that you might have would be very much appreciated and will be of great help to us with the community garden we are working on at the Flatbush Reformed Church. We are working on setting up this garden on the church grounds, and compost from leaves collected at Project LeafDrop will be used on site for the garden. More information about Project LeafDrop is available on their website; a report from last year’s LeafDrop is on the Flatbush Gardener blog written by our own Chris Kreussling. Let me know if help is needed transporting collected leaves to the site this Saturday. I can offer my car or my bike powered by me, if someone has a bike trailer that can be lent for use. Thanks Sam! And thanks for helping out yesterday. Maybe we can use SF’s bike trailer to pick up leaves next week?